LendInvest is the UK’s leading online property finance marketplace. They provide finance to property professionals, and provide a platform for individuals and institutions to invest in property backed loans. LendInvest was founded with one mission; to make mortgages better. When LendInvest contacted Kumina during the Summer of 2016, they were working on the next generation of their platform. LendInvest was looking for a partner who would not just build a new Kubernetes platform for them but also actively engage them in the process of the design and deployment. » Use container technology as the core of the platform. » Fault tolerant and highly available. » Continuous integration and continuous deployment. » Amazon AWS as cloud provider. With these requirements Kumina set out to build a platform that would not only meet LendInvest's requirements, but exceed their expectations. At Kumina we deploy all our platforms based on "infrastructure as code" (IaC) principles. This allows us to easily reproduce and scale environments. For this particular platform we use Hashicorp's Terraform. Terraform enables us to codify the entire Amazon AWS infrastructure. Due to the numerous providers that come with Terraform we can provision everything from EC2 to RDS. Jenkins is used as the Continuous Integration and Continuous Deployment platform. It's set up to automatically create and deploy images, run tests, cron jobs and migrations, smoothing the entire experience with the platform. Developers just need to push code to Git and most other steps are done automatically. LendInvest has chosen to manually deploy new versions of their applications at the touch of a (web-based) button, but that could be automated as well. As LendInvest is using a micro-services architecture and container technology, we needed an orchestration tool that is stable, feature rich and allows easy administration. Kubernetes was the obvious choice for us, as it has a strong Open Source community and is feature-rich. Also, it's based on 15 years of experience with Google Borg, where it has been running production workloads. Going into business with Kumina was a big turnaround. After two months they managed to get our entire new platform live. During the creation of the set-up we were in contact on a daily basis via online chat and several conference calls. It was reassuring they continuously showed us the progress: Things were getting done this time. Whatever kind of questions we had, they always took the time to answer them properly and flew several times to London to visit us making sure the co-operations was going well and everything was clear on both sides. We really appreciate the personal contact and hands-on mentality of the team. They solve all our daily and direct technical problems and challenges, enabling us to concentrate on doing our job. The cooperation between the Kumina ops-team and the Lendinvest it-team went very smoothly during the design and migration of their new platform. In October 2016 we celebrated the new infrastructure and LendInvest platform going live. LendInvest decided to trust us with the ongoing maintenance and support of their new Kubernetes setup. 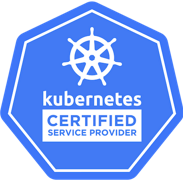 Our teams keep on working closely together to continually improve the set-up and make their Kubernetes AWS solution as cost effective as possible. Since the LendInvest platform is critical to their success, Kumina also provides LendInvest with a 24/7 emergency response line, ensuring them that possible interruptions will be actively addressed, even outside office hours.